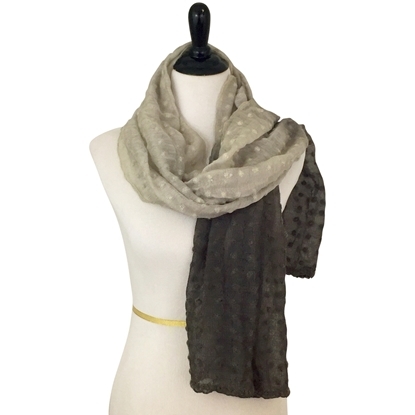 Meet our latest embroidered Three Tone Silk & Wool Scarf. 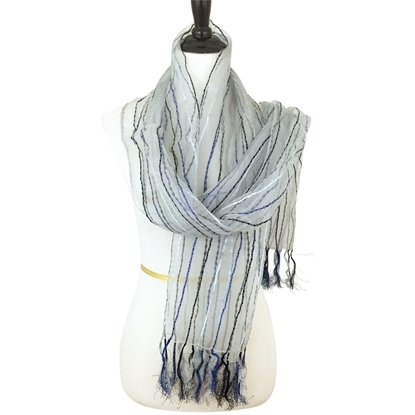 A handmade piece that announces that 'Tis THE Scarf of the Season. 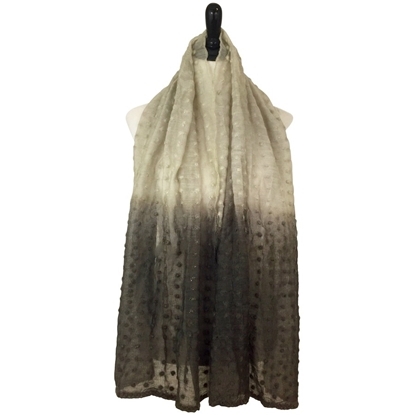 Beige, Grey and Baby Blue embroidered and beaded Scarf , perfect for the colder days since it's made from 75% Wool and 25% Silk, it's chic and stands out but in a classy way.. wear it for work or for a girls' day out.. and yes, thank us later for the compliments you will get :) Wonderful as a neck or shoulder wrap, you can also wear it as a headscarf of course. 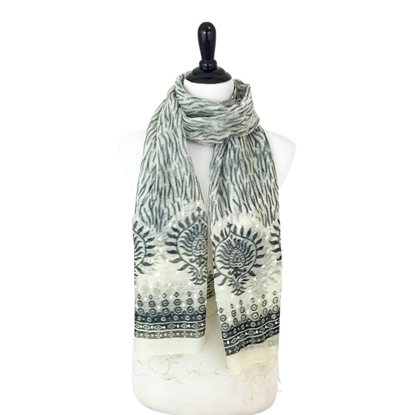 Such a Beauty! 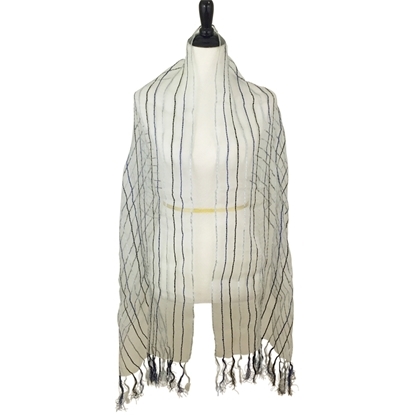 This is part of our Handmade collection: each piece is unique in its own design, fabric, colors. 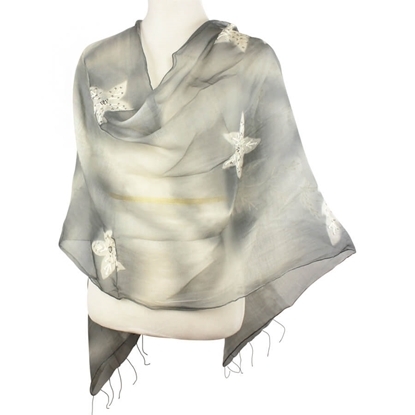 Made from the finest silk and wool, woven by the hands of the talented experts.. Look at the details and enjoy! 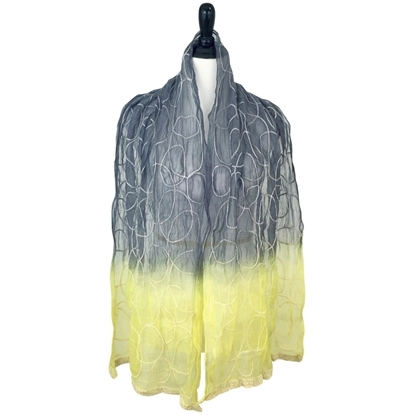 Stand out and make a statement with this "One -of -a-Kind" Hijab Scarf. 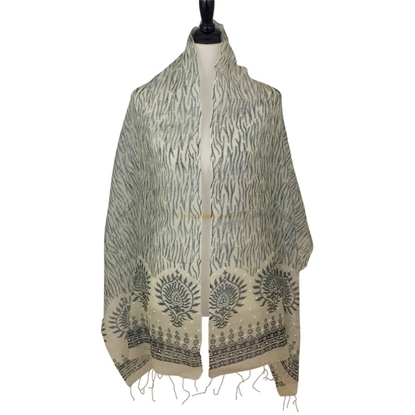 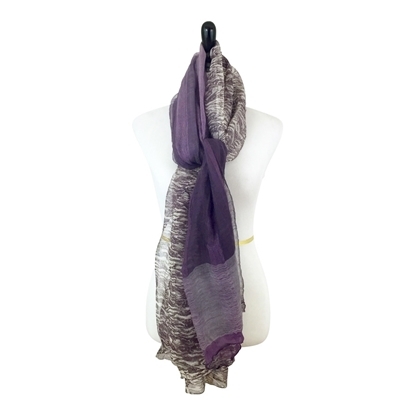 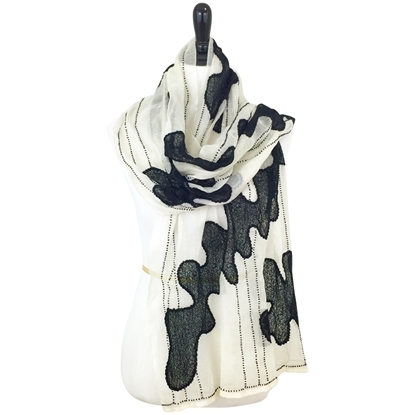 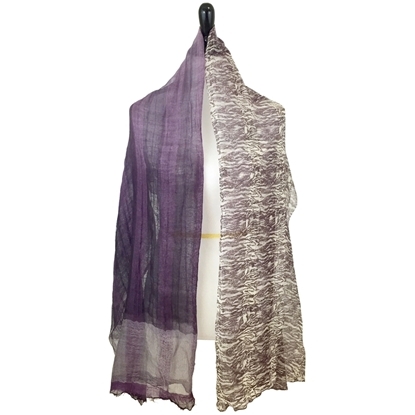 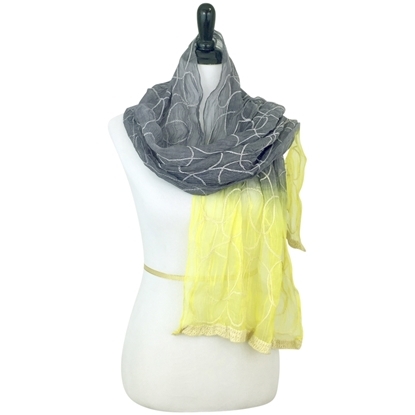 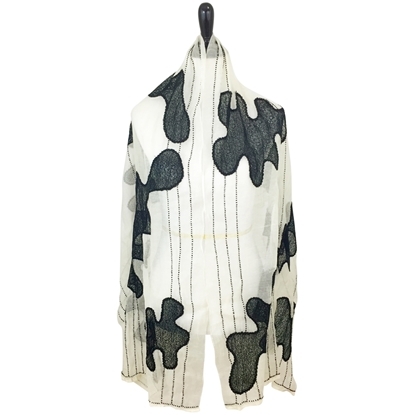 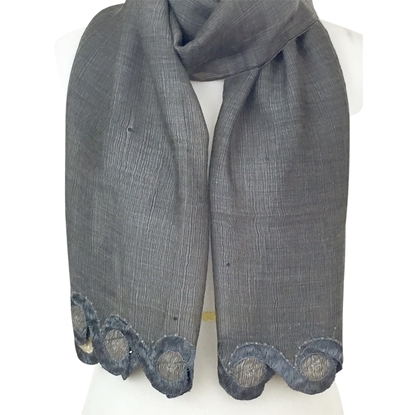 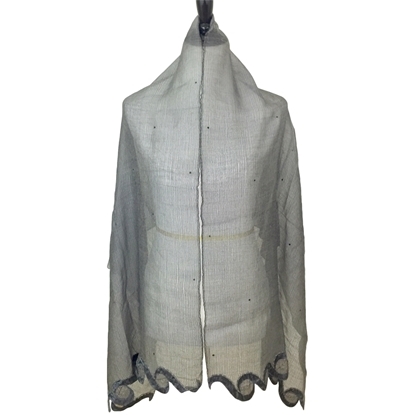 This Silk Wool Handmade piece reflects elegance to the fullest! 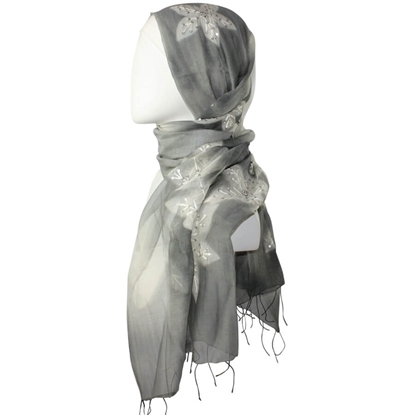 An Ombre of Greyish Silver and Off White, Woven and Beaded Leafy Florals tailored beautifully so you can either wrap it as a hijab, or toss it over as a shoulder/neck wrap!